Healthy bones and joints enable us to move about freely and without discomfort. Our skeletal system is constructed of hundreds of movable parts connected by ligaments and tendons, lubricated and cushioned by cartilage. It requires constant maintenance. The bones undergo a continuous mineralization process, which involves magnesium, calcium, fluoride and boron moving into and out of the bone matrix, regulated by various hormones. Bone thinning occurs when this mineral flow is out of balance. 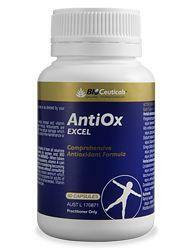 Cartilage and ligaments require constant lubrication, repair, and maintenance. Wear and tear eventually takes its toll as many people suffer from lack of mobility and pain associated with worn out joints and brittle bones associated with ageing, injury, and disease. A healthy lifestyle which involves regular exercise and a nutritious diet goes far in getting the most "mileage" out of our skeletal system. In addition to proper diet and regular exercise, the additional daily intake of several key nutrients can help to further insure healthy bone and joint function. Dietary supplementation helps provide valuable insurance against the detrimental effects of ageing, disease, and injury. Calcium is without a doubt one of the most crucial nutrients. The chances of age related "thinning of the bones" can be dramatically reduced by taking a daily calcium supplement. Vitamin D, boron, and magnesium are also extremely important to bone mineralization. Menopausal women should consider hormone replacement therapy as well. 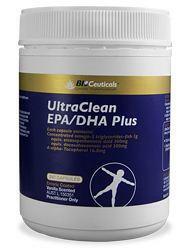 Nutrients such as glucosamine provide the necessary building blocks needed for cartilage repair and maintenance. Essential fatty acids, particularly gamma linoleic acid, play a key role in joint lubrication as well as in the regulation of the body's inflammatory process. Many of these very important nutrients should be supplemented as part of a comprehensive program designed to optimize skeletal system function. AdvaCal® is an advanced calcium supplement that features calcium citrate and MCH-Cal (microcrystalline calcium hydroxyapatite) to assist in the prevention and treatment of osteoporosis. AdvaCal® also contains synergistic nutrients important for the maintenance of healthy bone including vitamins D3 and K1, and the minerals magnesium, boron, silica and zinc. Joint Tissue Support includes nutrients that may help to support joint tissue and collagen synthesis and help to regulate inflammatory mediators. See your healthcare practitioner to determine if you need additional joint support. ChondroCare® Excel provides a powerful combination of three fundamental joint nutrientsglucosamine sulfate, chondroitin sulfate and methylsulfonylmethane (MSM)together with vitamin C and trace minerals to support the maintenance of healthy joint structure and function. 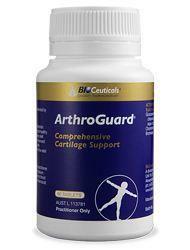 ArthroGuard® is formulated to support healthy cartilage and joint function. The combination of glucosamine and chondroitin sulfate with the anti-inflammatory ingredient bromelain promotes temporary relief from joint pain as well as improved joint flexibility and movement.